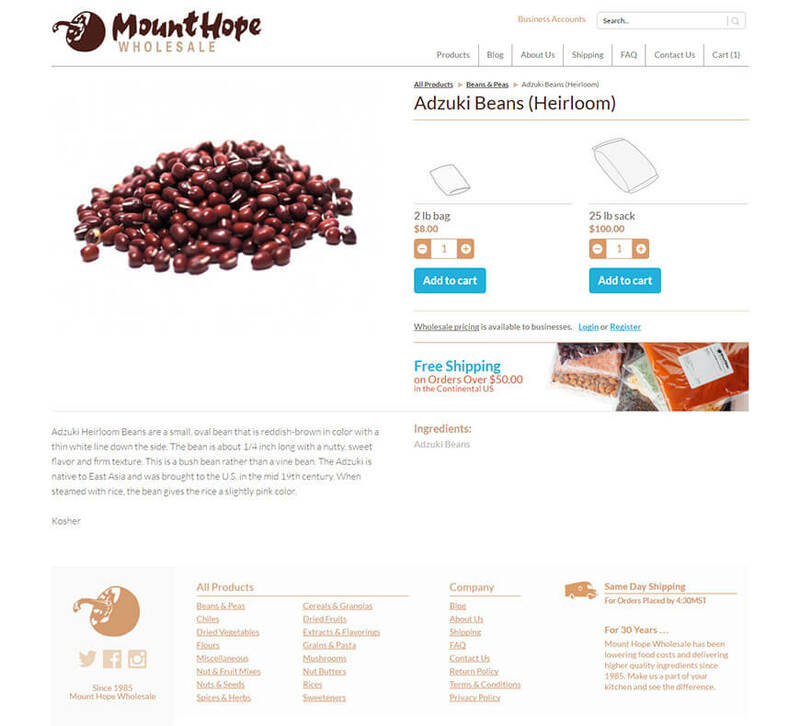 Mount Hope Wholesale is a family owned business offering top quality, fresh foods and customer services from last 30 years. They have built a strong reputation among their loyal customers to provide the best beans, spices, nuts, dried fruits, chilies, and other specialty food products. 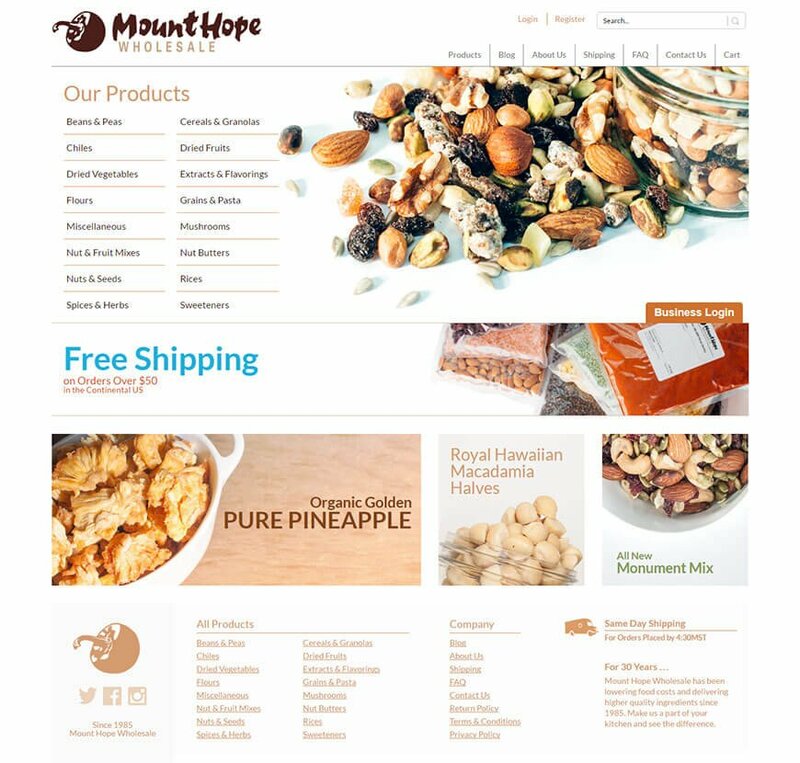 When Mount Hope Wholesale approached us, the brand already had an existing website on which to build. However, the present website was not mobile-friendly, which impacted their cost, accessibility, and content parity. 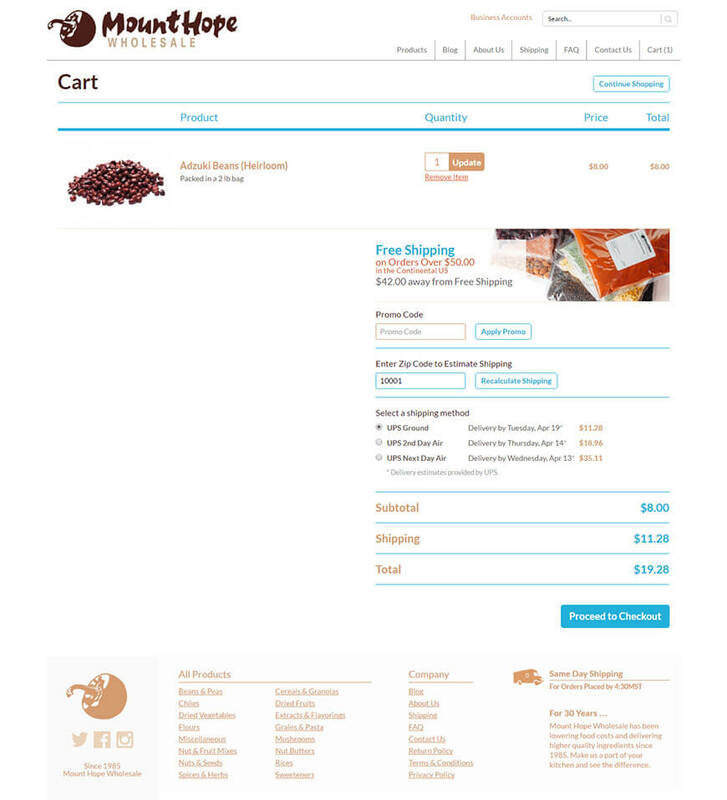 After studying the logistics of the client business and its intricacies, Pulse team proposed to help the website go mobile-friendly using the technology of WooCommerce combined with PHP and MySql. As a result of the seamless execution and timely management, we finished the development in the stipulated time period, maintaining our high-quality standards. Do you want to take advantage of a responsive design? Let’s talk about how to do it together! Contact us today!